The term obesity implies an excess of adipose tissue and excess adiposity is a health risk. Patients with obesity are at increased risk of many medical and psychiatric diseases, they have reduced life expectancy, and are also subjected to unwanted social, psychological, and physical disadvantages. As a result of these factors the cost to individuals and society due to obesity is huge. For these reasons prevention and treatment of obesity is now widely recognised as a chief priority. The aim of treatment is to reduce morbidity and mortality while improving psychological well-being and social function. Interventions are costly and time consuming and thus should be targeted at patients who at the most risk (BMI >30 or BMI >27 + serious co-morbidities of obesity) and motivated. Overeating and decreased activity are the fundamental problems underlying the development of obesity, thus any therapy aimed at helping the obese patient must have a dietary and physical activity (PA) component. Initially patients should be encouraged to increase their PA to 60 min 5 days per week and reduce their total energy intake by 500–1000 kcal/day. The aim is to lose 5–10 % of weight at a rate of 0.5–1 kg/week. If after 6 months significant weight-loss has not been achieved then obesity drugs can be added. Encouraging patients to loss and maintain weight loss can be difficult. Using behavioural techniques and helping patients to identify their barriers to change and providing them with tools to overcome this will improve adherence and aid with weight loss and maintenance of this. This chapter covers the clinical assessment of obesity, what treatment options are available and how to use these. National Institute for health and Clinical Excellence (NICE) guidelines (CG189). Obesity: identification, assessment and management of overweight and obesity in children, young people and adults. https://www.nice.org.uk/guidance/cg189. National Institute for Clinical Excellence. National Institute for Clinical Excellence GC9 eating disorders: NICE guideline. 2004. Http://www.nice.org.uk/CG009NICEguideline. 2008 Physical Activity Guidelines for Americans. U. S. Department of Health and Human Services; 2008. www.health.gov/paguidelines. National Institute for Clinical Excellence. National Institute for Clinical Excellence GC43 obesity: NICE guideline. 2006. 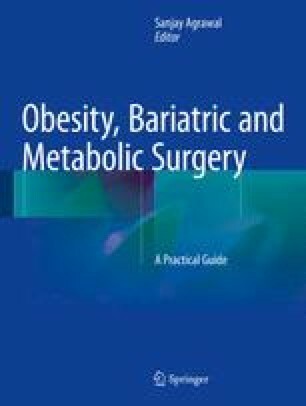 Http://www.nice.org.uk/guidance/cg43/resources/guidance-obesity-pdf.